If you're in California, remember to vote yes on CA Prop 37, which requires that GMO foods be labeled as such. 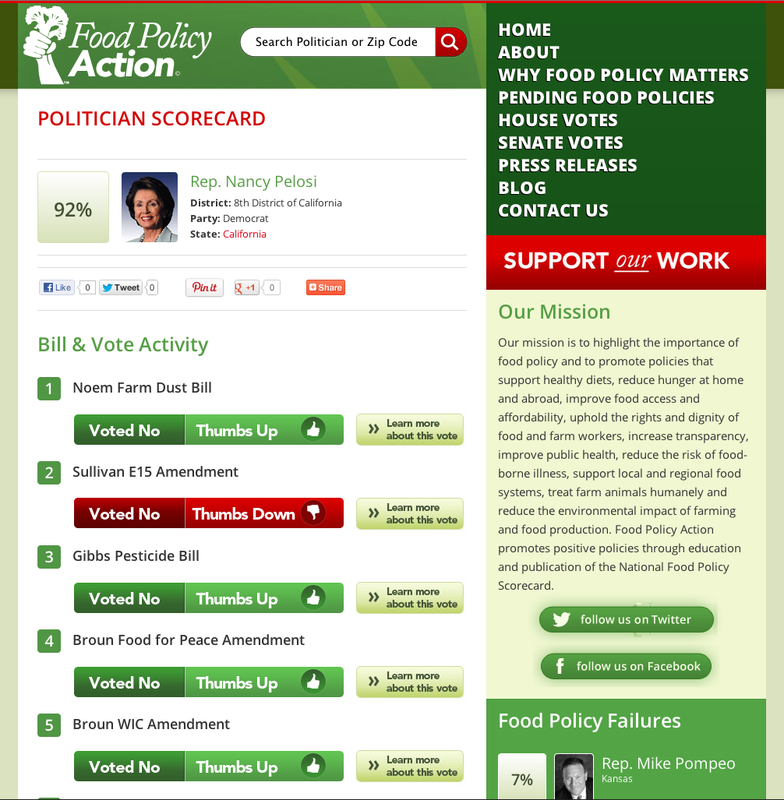 Because no matter where you stand on GMOs in general, consumers should have the right to know what they're buying. Got similar issues on the ballot in your area? Post them in the comments. 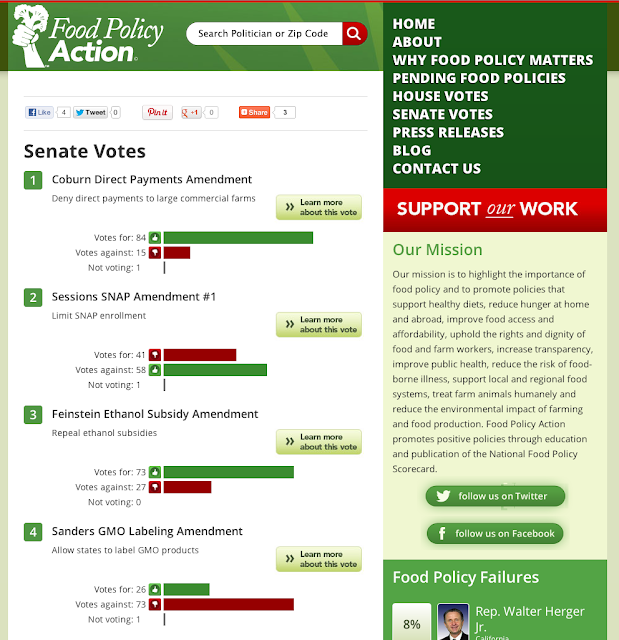 For anyone concerned with food policy in the U.S.:www.foodpolicyaction.org makes it easy to see where your senators and representatives stand on food policy issues. 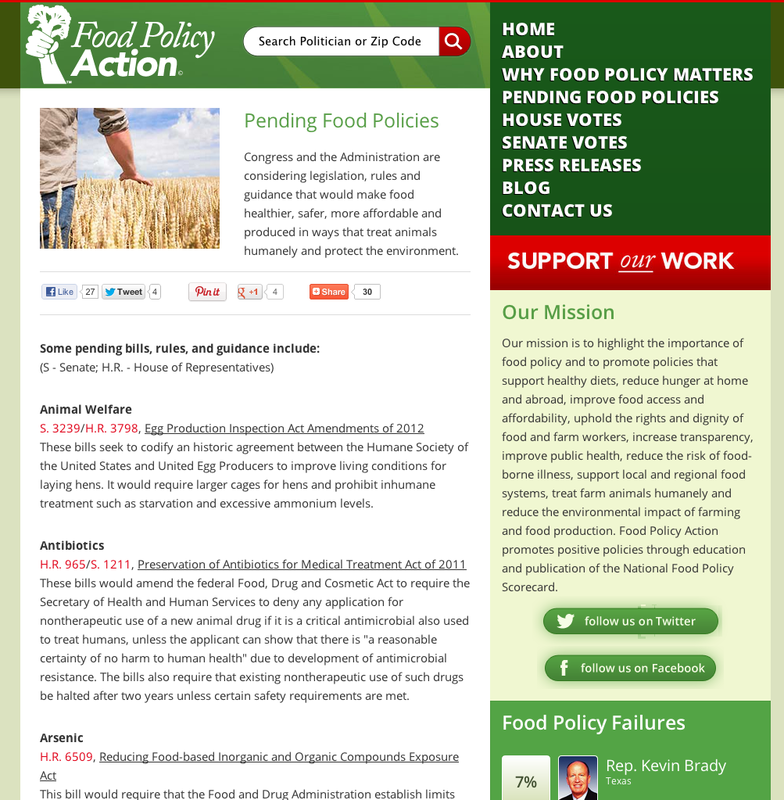 The site also covers pending bills, rules, and guidance. Full disclosure: A friend of mine is a scientist working for EWG, whose president sits on the board of directors of Food Policy Action.